We worked with 30 secondary school pupils from across Cambridgeshire in a workshop based around excerpts of Handel’s Messiah. 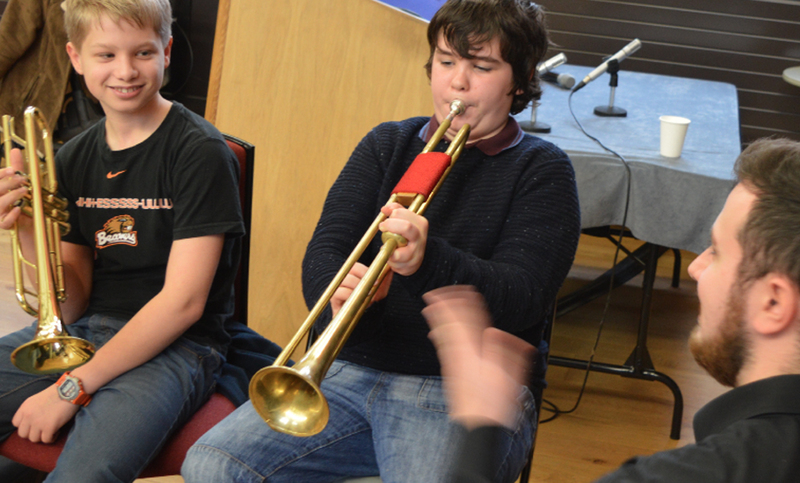 The workshop was for instrumental players of all instruments including Saxophones and Flutes, not in Handel’s original orchestra for Messiah and also vocal students. The students performed excerpts of Messiah whilst working alongside musicians from Eboracum Baroque and learnt about the history of the piece and how to perform baroque music. You can read more about the workshop on the Cambridge Early Music website here.